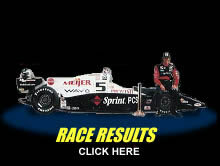 ARIE LUYENDYK sets fastest qualifying time at Indy 500 using OIL EXTREME. EXTREME SPEED! Take a look at the latest race photos in our OIL EXTREME race photo gallery. 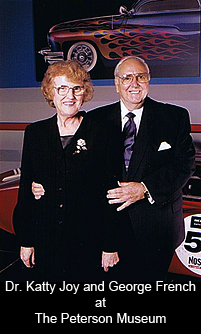 50 YEARS OF RACING! View a vintage photo of a racing legend. 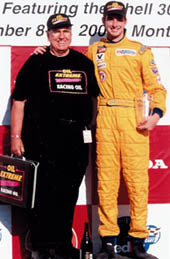 MotorTec Magazine awarded OIL EXTREME their Five Star Award of Excellence on 3/05/01. 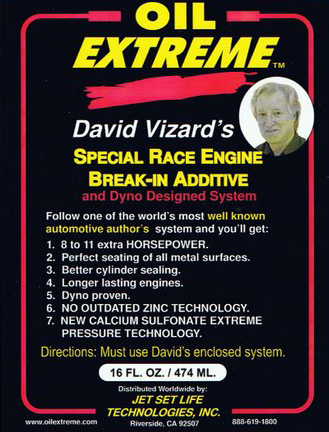 David Vizard, one of the world's premier race engine builders, author of over thirty books on racing engines, and magazine tech writer, has developed a revolutionary new "Engine Break-in System" using Oil Extreme's proprietary Calcium Petroleum Sulfonate technology. In David's engine building seminars, he has been so sure of his 8 to 11 extra horsepower claims that he has done before and after dyno tests right on the spot, with the whole class watching. One well known skeptical engine builder, who was doing the dyno test in his shop, came out of the dyno room after the dyno runs, and told the class, "This **** works." The actual gain was 8 Horspower, after using only 1 bottle of the 3 bottle set. This EP (extreme pressure) anti-wear technology is the answer to the low ZDDP levels in today's motor oils. This system eliminates cam wear problems. ARE GAS & DIESEL PRICES KILLING YOU? SAVE $10 ON EVERY FILL-UP! SAFELY EXTEND YOUR OIL DRAIN INTERVAL 2-3 TIMES. PLUS, IT WILL CUT ENGINE WEAR 50% & HARMFUL EMISSIONS 50%! 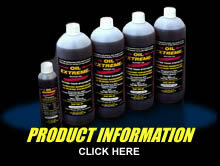 Purchase Products at the OilExtreme Online STORE! 4 stroke engines can now enjoy the revolutionary Calcium Petroleum Sulfonate extreme pressure technology created by Oil Extreme International. This oil is guaranteed to give you more horsepower, torque, acceleration, longer engine life, and a cooler, smoother running engine. 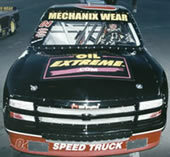 Oil Extreme "Better Than Synthetic" Motor & Transmission oil also lasts two to three times longer than normal, because of its TBN (Total Base Number) of 20. Regular oils have a TBN of 8 or 9. If our exclusive technology is good enough for Indy car and NASCAR drivers, you can be assured it is also great for the Power Sports enthusiast. There is lots of technology and dyno information to the left on this home page. If you have any doubts about our claims Call George French, President of Oil Extreme International at 920-495-7686. Had an 06 Jazz too that started developing the shuddering only on take off from stand still – had a mechanic that fixed it – he said to make sure to only use the transmission fluid specifically for CVTs. 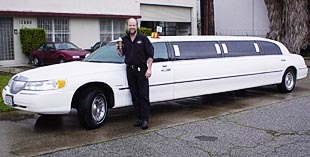 He added this oil called 'Oil Extreme' to the CVTF and said it would stop the shuddering – sure enough it did – didn't have any issues with shuddering for the rest of the time I had the car before selling it as I was heading overseas. After being quite sceptic, I added the oil Wednesday evening to the CVT Fluid in my little Honda FIT, and yes, it worked! No shuddering since then. The Honda is one of those with a GD1 number and I had this shuddering problem since more than 4 years, spent a lot of money on original CVTF oil from Honda and the shuddering never really vanished completely after any of the servicing. If the shuddering doesn’t come back, your product would be really amazing, especially due to the fact that Honda couldn’t solve this issue! Thanks so much. Greetings from St Lucia. I must say that your oil extreme is an excellent product because in a matter of minutes after adding it to my transmission, the shudder totally disappeared. It has been about seven months since I tried Oil Extreme in my Honda Jazz and I have never gotten a shudder or any signs of it returning. For months I kept flushing my transmission hoping that it would solve the problem but it never did. I finally decided to try oil extreme after the Honda dealer quoted over US $5000 to me for a new transmission. I'm a satisfied customer. Just a quick note from New Zealand with a bit of feedback. We bought Oil Extreme after reading good reports of its ability to help with the CVT gearbox shudder that sometimes afflicts older Honda Fit (Honda Jazz). We had tried a full CVT oil flush (expensive!) in our 2006 Fit, which didn't fix the problem. So I tried your little bottle of magic additive. A drive around the block and no more shudder - I was amazed! 10,000 km on, and still no hint of a shudder. Thank you George for your great product, and for your phone call and fantastic service. "After being quite skeptical, I added the oil extreme concentrate Wednesday evening to the CVT Fluid in my little Honda FIT, and yes, it worked! No shuddering since then. The Honda is one of those with a GD1 number and I had this shuddering problem since more than 4 years, spent a lot of money on original CVTF oil from Honda and the shuddering never really vanish completely after any of the servicing. If the shuddering doesn't come back, your product would be really amazing, especially due to the fact that Honda couldn't solve this issue! Thanks so much." 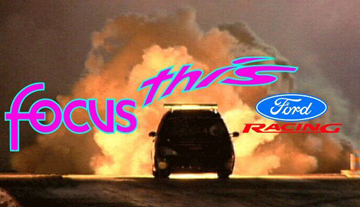 closing deal for sponsorship of Richard's Jet Engined Ford Focus. 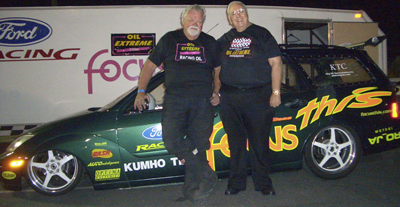 Holton Hemi's is a consistent winner using OIL EXTREME. 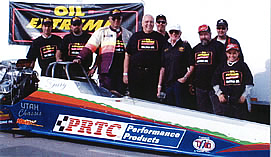 Car 36 - Nilton Rossoni sports Oil Extreme sticker while winning Barber Dodge Pro Series Races at Sebring FL, Homestead FL, Cleveland OH, and Elkhart Lake WI this year.